HOW DOES SOUTH CAROLINA STACK UP FOR DESCHUTES? By now, you’ve certainly heard about what was one of the worst kept rumors flying around the beer world – that Deschutes Brewery is looking to expand and find a place on the east coast. And this time, South Carolina won’t be playing catch up. Last year, the state was heavily involved in pursuing San Diego’s Stone Brewing Company, which most people no doubt remember. While Stone didn’t come here, that wasn’t necessarily the goal. The goal was to better the laws for our state’s existing brewers while at the same time opening up the door for anyone down the road whether from here or afar that might want to open. The legislation did a few things: allow breweries to open food operations, and with food, have the ability to sell wine, have guest taps (all of which are to be done through a wholesaler), and because of the on-site food operation, not be subject to on-site direct sales caps as specified in the Pint Law (48 ounces on-site). Well, this time it isn’t Stone that is calling, but Deschutes Brewery out of Bend, Oregon. Founded in 1988 as a brewpub, Deschutes has grown into the nation’s seventh largest craft brewery according to the Brewers Association. Last year, it produced 337,000 barrels of beer. It sells beer in 28 states, but not in the Carolinas. The closest places to get it are DC, Texas, and Kentucky. Or you can just trade for it or buy it out west on a trip. Well, now, Deschutes has reportedly been scouting locations in Greenville and Charleston. It also is considering North Carolina, Tennessee, and Virginia. There is no word so far whether Deschutes would require other legislation to open in South Carolina. Wherever Deschutes opts to land, it will seek to brew about 200,000 barrels a year at the new facility. It expects to make a decision by the end of the year, and to open the facility by 2019. 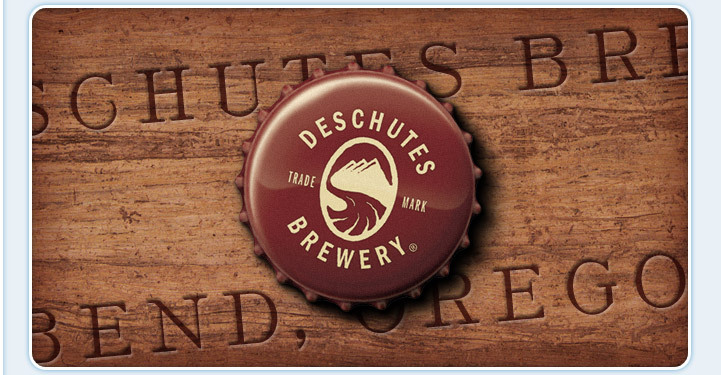 So, where is Deschutes going and why will it go there? Let’s analyze that and whether South Carolina has a chance, and if so, what needs to be done. Here is what we know – when asked what were the criteria for choosing an east coast landing spot, Michael LaLonde, president and COO said, “Quality of life, outdoor activities available, culture of the community, quality of the schools — both for our co-owners and their children — proximity to beer drinkers and major transportation routes are the biggest criteria, although we have many more.” So, that explains Tennessee, Virginia, North Carolina, and South Carolina. Of course, Virginia and North Carolina have to have the leg up with their very favorable brewery laws and the fact that both have been successful getting west coast breweries to come to their states – Stone and Green Flash for Virginia and New Belgium, Sierra Nevada, and Oskar Blues for North Carolina. But, who is going to separate from that that group? Let’s break it down by category. EDGE: Virginia. You can’t argue with the numbers. Virginia is cheap. Tennessee: Eastern Tennessee is where the brewery would be located, and that portion of state boasts access to I-75, I-40, and I-81. Virginia: This would most likely be a western Virginia location. Accessible interstates would be I-81 and I-64. DC isn’t that far. North Carolina: Being in Asheville only gives the brewery access to I-40 and I-26. South Carolina: Being in the Greenville area would give the brewery access to both I-85 and I-26. Atlanta and Charlotte would not be far. If just Charleston, then I-26, but access to a port. EDGE: Tennessee and South Carolina. If the goal is to get to big hubs with access to new markets, Greenville’s access to Atlanta and Charlotte and Charleston’s access to a port should put it over the top, but it’s close with Tennessee having direct access to I-75. Tennessee: Recent surveys rank the quality of life as being fairly low. As a best state for business, Forbes ranks it 21st. Eastern Tennessee has access to all kinds of outdoor activities, including access to the mountains and a national park. Virginia: Recent surveys rank the quality of life as being pretty high. As a best state for business, Forbes ranks it 4th. Eastern Tennessee has access to all kinds of outdoor activities, including access to the mountains and a national park. North Carolina: Recent surveys rank the quality of life as being pretty high. As a best state for business, Forbes ranks it 3rd. Western North Carolina has access to all kinds of outdoor activities, including access to the mountains and a national park shared with Tennessee. South Carolina: Recent surveys rank the quality of life as fair. As a best state for business, Forbes ranks it 23rd. Although, CNBC has ranked SC as high as #5. Greenville and Charleston continually top best cities lists. SC has access to all kinds of outdoor activities depending on where you are. Greenville and Charleston are fairly diverse in what the can each offer, although if the brewery is looking to mimic Bend, then Greenville might have the edge based on its proximity to the mountains. EDGE: Virginia and North Carolina. There is a reason that these are the main four states being considered. The areas being considered are all very outdoorsy. Quality of life is fairly high and these are all at least fair states to do business in. We’ll leave an education and cultural analysis alone for now. All places have good access to beer drinkers, although North Carolina’s established beer culture might give it a push ahead. Tennessee: Breweries can sell beer on-site that is up to 8% (will increase to 10.2% in 2017). Some on and off-site is allowed, but with an 8% cap, that won’t matter. Virginia: Unlimited on-site, even without food. Unlimited off-site. No ABV cap. North Carolina: Unlimited on-site, even without food. Unlimited off-site. Beer can be made and sold up to 15%. South Carolina: With a restaurant, unlimited on-site. Off-site is limited to 288 ounces per person per day. Beer can be made and sold up to 17.5%. EDGE: Virginia, North Carolina, and South Carolina. The ABV cap for on-site in Tennessee really hurts its chances. 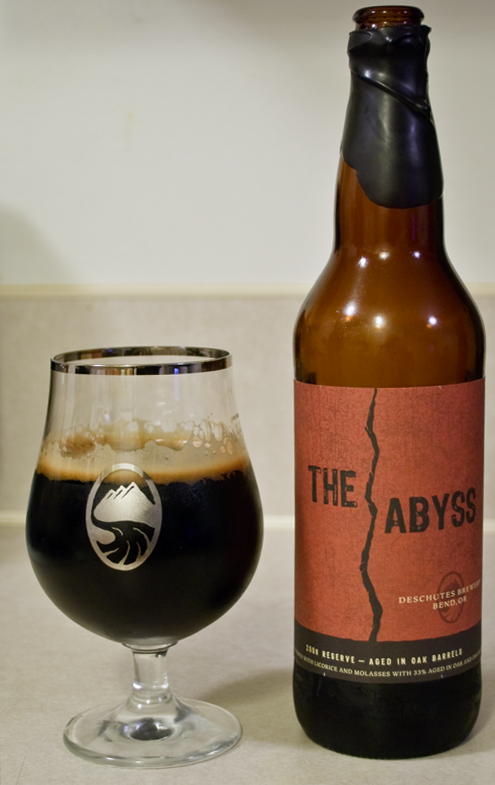 Although Deschutes doesn’t make many beers over 11%, the freedom to be able to sell something over 8% is paramount. Virginia, North Carolina, and South Carolina all fit the bill. Because the brewery will have a restaurant, the on-site limits are a wash. Virginia and North Carolina have more favorable off-site limits, but most of the brewery’s beers will be for distribution, so it probably won’t matter. Tennessee: The state with the most to gain. With high taxes, and low ABV beers that can be sold on-site, barring some serious legislation, Tennessee cannot compare right now to its other three contenders. Virginia: The new North Carolina. With Stone and Green Flash now in its pocket, Virginia continues to grow based on recent legislative changes. It has access to mountains, an ocean, and highways. It has no on or off-site consumption limits, no ABV cap, and low excise taxes. This is a strong contender. North Carolina: The usual suspect. Asheville and western North Carolina continue to dominate, now with 3 national breweries calling it home. Its higher excise tax rate doesn’t seem to bother the other breweries, and its other favorable brewery laws will keep North Carolina in the running until the end. South Carolina: The up and comer. With the Stone Law in the rear view, South Carolina will be a contender from day 1 for any brewery expansion project. It still lags in some areas compared to Virginia and North Carolina, but those areas are becoming more marginal for larger breweries. That being said, if South Carolina wants to seriously contend going forward, perhaps the best strategy would be to push for more legislation. What would that look like? If nothing else, it would contain an excise tax cut. To compete in this region, it will at least need to hop ahead of North Carolina. A 50% cut would put the tax rate at $0.38. By comparison, Georgia’s is $0.32 and Florida’s is $0.48. The cheapest in the country? That would be Wyoming at $0.02 a gallon. An excise tax cut would be one of the final pieces of the puzzle to move SC brewers forward as well as make the state more attractive to others. How does it all shake out? Hard to say just yet. Like South Carolina did last year, Tennessee could pull a rabbit out of its hat and change its laws for the better. Also, economic incentive packages will be worth watching. Remember, in order to lure Stone, the City of Richmond issued $23M in bonds for the production facility, $8M in bonds for the restaurant and beer garden, and $2M in city grants. The State of Virginia also kicked in an additional $5.25M. So, even if you hit all of the right notes, you’re most likely going to have to provide a pretty sweet deal. And when states are as close in comparison as Virginia and North Carolina seem to be these days, that might make the difference. South Carolina’s path is clear: lower excise taxes, find properties that fit the bill, and make a great pitch.